Andrew J. Demko concentrates his practice in litigation matters with a particular focus on consumer class actions and entertainment and media. Andrew has substantial experience in a variety of complex disputes at the trial and appellate levels. In particular, he has represented clients in class actions involving all types of consumer financial services products, as well as class actions involving media and technology, securities, employment, and products liability. He also has significant experience handling class actions on appeal, including successfully petitioning the Ninth Circuit for permission to appeal class certification decisions pursuant to Rule 23(f). In his trial practice, Andrew has drafted successful dispositive motions in entertainment, media and technology disputes, securities class actions, ERISA, wage and hour class actions, environmental, breach of contract, and legal malpractice litigation. He also has argued before appellate and trial courts in California and acted as second chair in an international arbitration involving an Olympic gold medalist. 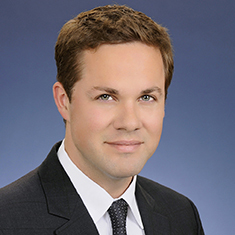 Prior to joining Katten, Andrew was an associate at Gibson, Dunn & Crutcher LLP. He also served as a law clerk to the Honorable Susan H. Black of the US Court of Appeals for the Eleventh Circuit. During law school, Andrew was an executive editor of the Notre Dame Law Review and president of the Business Law Forum.